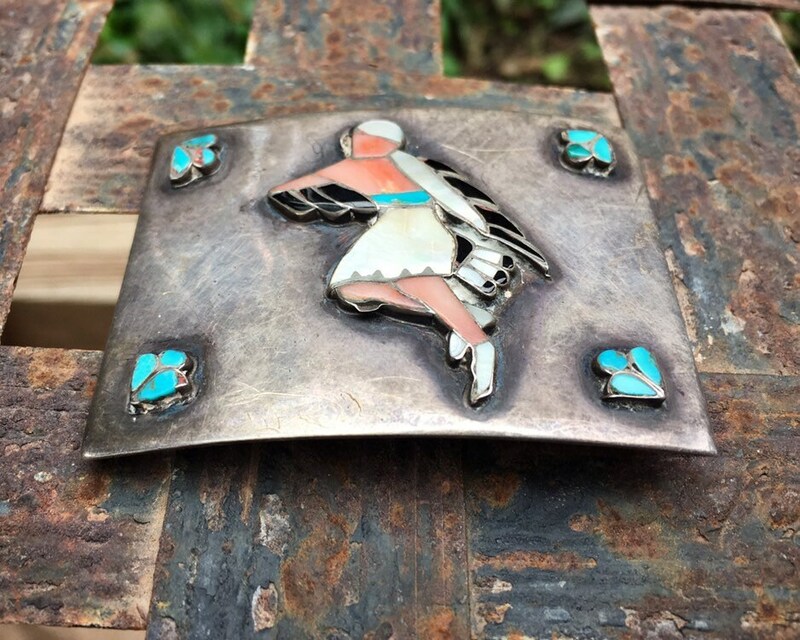 This vintage inlay belt buckle falls into the category of "way better looking in person," as it is so intricate and interesting that you'll first enjoy studying it and secondly wearing it. 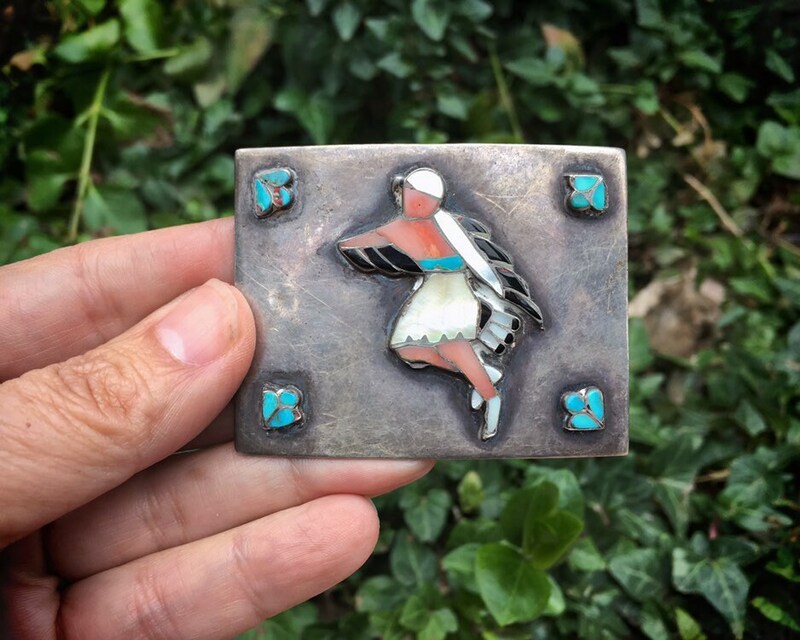 Let's talk about the design first: it features a Kachina Eagle Dancer, with pink mussel shell and Mother of Pearl along with black onyx for the figural, and turquoise inlay for the belt and flourishes in the four corners. 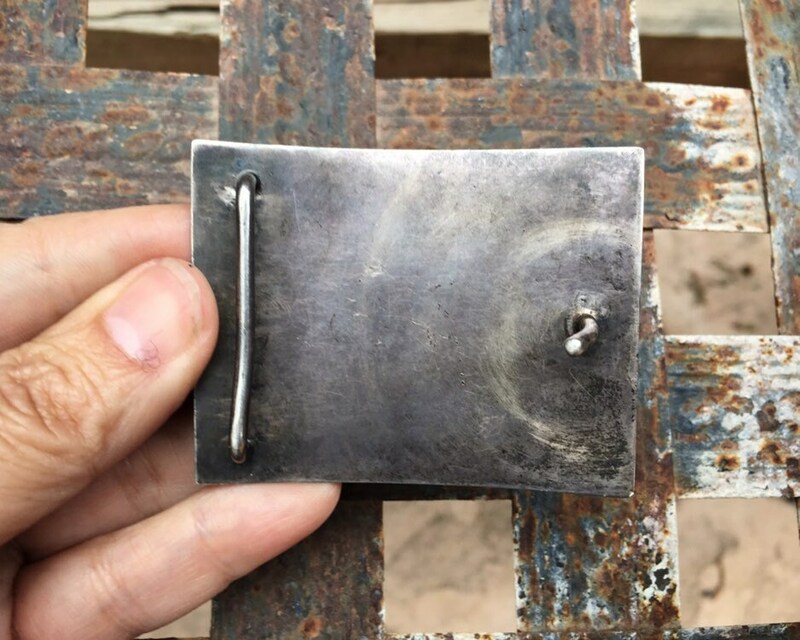 Practically speaking, the buckle is a perfect size, not overly large, likely made for a man yet appropriate for male or female. 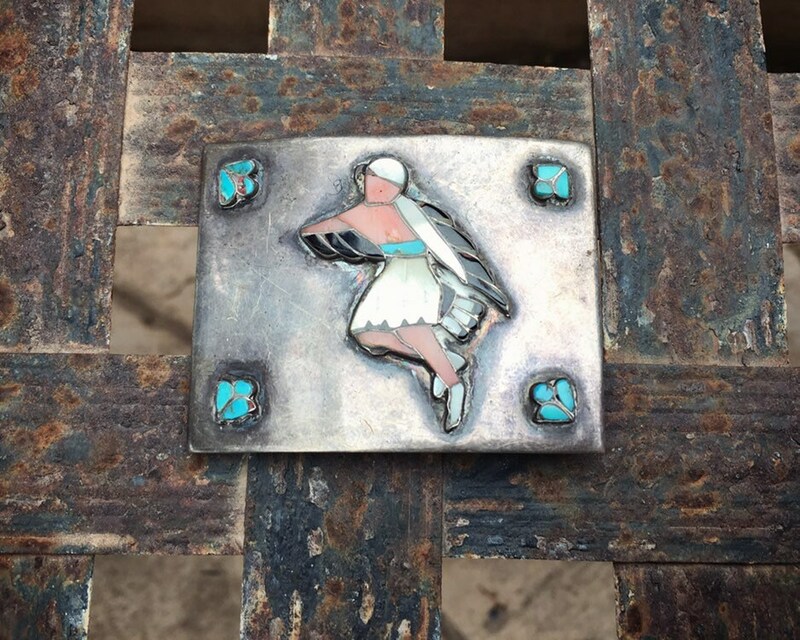 This is an estate piece, and it has a gorgeous patina. 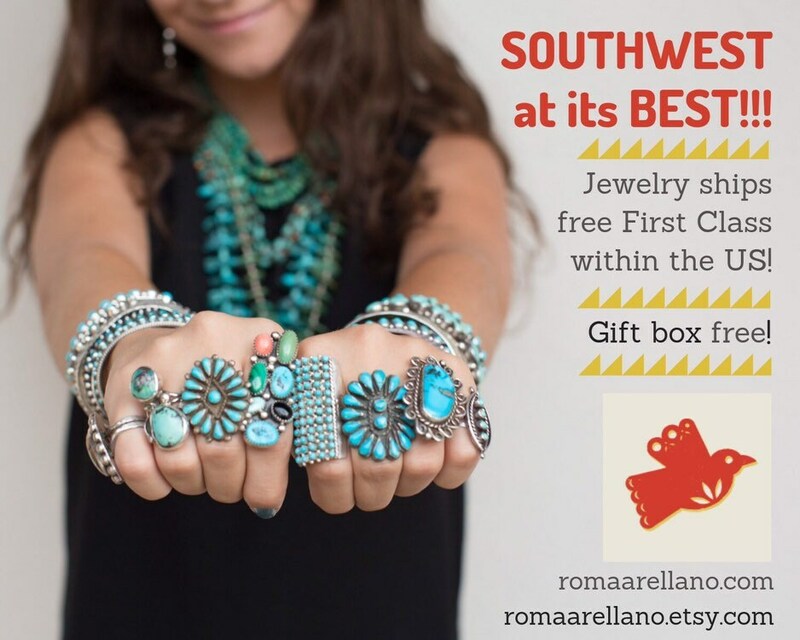 This would make a memorable birthday, retirement, anniversary, or Father's Day gift for the lover of Southwestern jewelry and accessories. 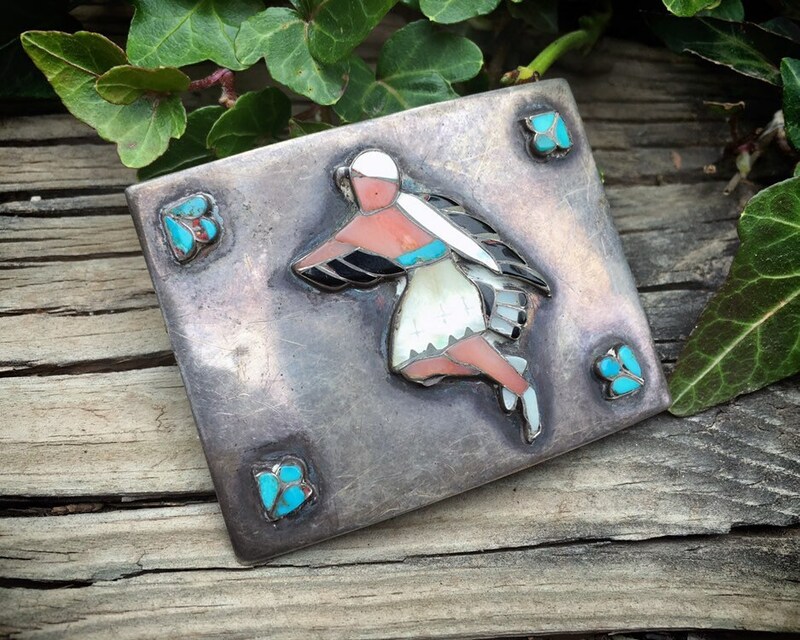 We believe this is Zuni made. 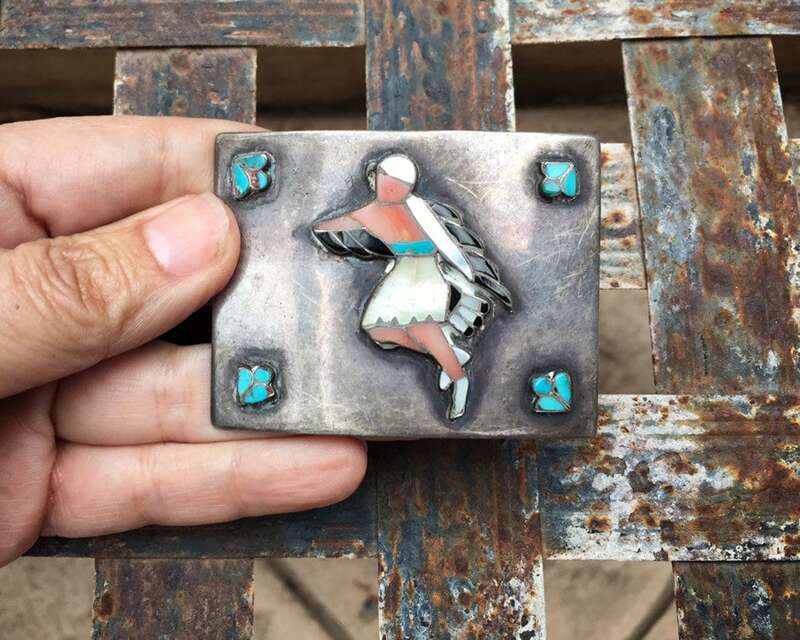 Measures 2-1/2" wide and about 2" tall. There are light scratches on the silver, front and back, consistent with age. I will polish this lightly if requested. Subtle beauty in the artistry!